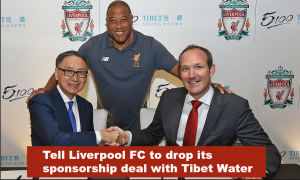 We are following up on the letter we sent to you on 2 August 2017 concerning the recent sponsorship deal Liverpool Football Club has entered into with Tibet Water Resources Ltd (TWRL), to which we have as yet not had a response. 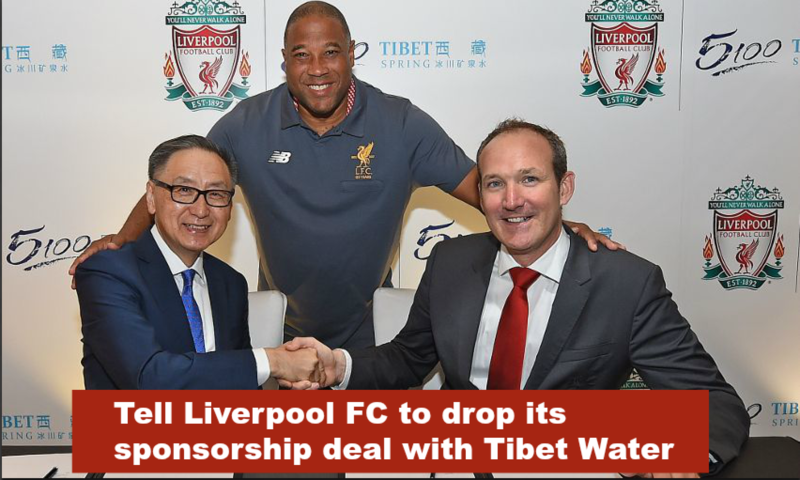 As we raised in our previous letter, we are seriously concerned about Liverpool FC’s deal with TWRL; a company which is only able to commercially exploit Tibet’s resources due to the sustained and highly repressive rule over Tibet by China. 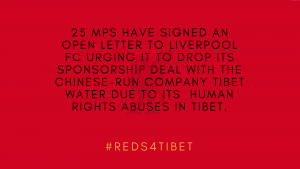 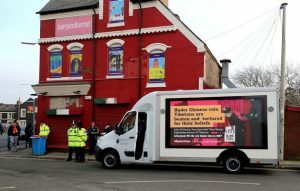 In late July we started receiving messages of concern from Liverpool FC supporters, many of whom flagged China’s human rights track record in Tibet, and the reputation damage that the TWRL deal risks causing to their team, and we are aware that a growing number of these supporters have appealed directly to the club to raise their concerns. 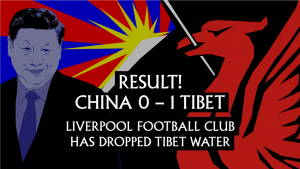 We would also like to take this opportunity to renew our request for a meeting with you and other members of Liverpool FC’s board of directors at a time and place of your choosing in order to discuss the human rights situation in Tibet and to outline why Tibetans, Tibet supporters and LFC fans are now urging the club to terminate its relationship with TWRL.You can respond to us by contacting Tibet Society’s Head of Advocacy, Gloria Montgomery on advocacy@tibetsociety.com. 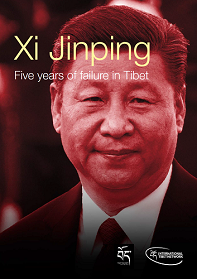 1 Freedom House, Freedom in the World 2017, available at: https://freedomhouse.org/report/freedom-world/2017/tibet; Amnesty International, Annual report 2016/2017 – The State of the World’s Human Rights (Index: MDE 29/5470/2016), available at: https://www.amnesty.org/en/latest/research/2017/02/amnesty-international-annual-report-201617/; Human Rights Watch, World Report 2017 – China and Tibet, 12 January 2017, available at: https://www.hrw.org/world-report/2017/country-chapters/china-and-tibet.